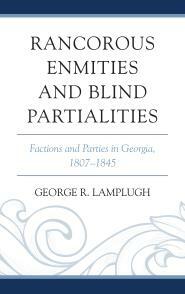 [NOTE: My last post was about Georgia Governor Wilson Lumpkin (1831-35), whose heavy-handed justification for championing removal of the Cherokee Indians from Georgia makes his autobiography, the cleverly named The Removal of the Cherokee Indians from Georgia, a real slog for anyone with an ounce of modern sensibility. Lumpkin’s political rival, whom he defeated in the 1831 governor’s election, was George Rockingham Gilmer. Like Lumpkin, Gilmer produced a memoir, Sketches of the First Settlers of Upper Georgia, of the Cherokees, and the Author (1855), which defended his role in the Indian removal controversy of the 1830s. When Gilmer was Governor of Georgia, between 1829-1831 and 1837-1839, getting rid of the state’s Cherokee inhabitants was Job #1 on his to-do list. Born in Georgia in 1790, George R. Gilmer studied at Moses Waddel’s famous academy in Willington, S.C., leaving at age 18 to teach school for a year before beginning to read law under Stephen Upson in Lexington, Ga. He took a break from his legal studies to serve as a militia officer in a regiment engaged against the Creeks during the War of 1812, then returned to Lexington to practice law in 1818. That same year, the young attorney was elected to the legislature from Oglethorpe County, launching a career in politics that would span more than two decades. Though he professed to have a low opinion of the state’s political factions, Gilmer did admit that he was a “friend” of William Crawford–and, the way politics worked in the state at the time, that made him an “enemy” of John Clark. Over the next several years, Gilmer alternated between serving in Congress and representing Oglethorpe in the state legislature. He was re-elected to Congress in 1828, but his seat was declared vacant on a technicality by Governor John Forsyth. Following a debate in the state press between Gilmer and Forsyth couched in the high falutin’ language of “Southern honor,” Gilmer “retired to private life” but that period of repose proved short-lived. At the 1829 college commencement in Athens, the annual epicenter of Georgia politics, Gilmer was asked by his “friends” to run for Governor, despite the fact that another member of the Crawford Party, Joel Crawford, had already announced for the office. 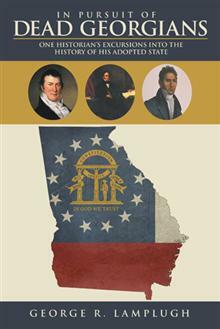 Because Gilmer and his “friends” believed that Joel Crawford’s candidacy had been engineered by outgoing Governor John Forsyth, the man who had declared Gilmer ineligible to hold the congressional seat to which he had been elected in 1828, Gilmer entered the gubernatorial race. In a very confusing campaign, even by Georgia standards, Gilmer and Crawford both ran as Crawfordites, much to the chagrin of party leaders, while the Clark Party supported Gilmer rather than run a candidate of their own. Gilmer was elected. Finally, the Governor maintained, for Georgia willingly to participate in settling the controversy before the Supreme Court would endanger the efforts of “the friends of liberty and the rights of the people,” who were “endeavoring to sustain the sovereignty of the States.” George Gilmer was consistent in his attitude toward the Supreme Court, refusing to recognize its authority in two important cases, Cherokee Nation v. Georgia (1831) and Worcester v. Georgia (1832). Once a law extending Georgia’s control over the Cherokee territory took effect on June 1, 1830, Governor Gilmer was concerned with enforcing that authority. The Cherokees and the gold in their territory both needed to be protected from greedy whites, the Governor believed, but the only force authorized to keep the peace there was the U.S. Army, which aroused Gilmer’s state rights scruples. 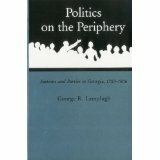 Consequently, he secured the withdrawal of federal troops and the creation by the legislature of a forty-man unit, the Georgia Guard, to police the area. This group of “patriotic” good ol’ boys soon earned a reputation for harassing and intimidating the residents of the Cherokee territory. They especially enjoyed rousting white missionaries who refused to take an oath of loyalty to Georgia as required by state law, arresting them and dragging them in chains to the state penitentiary. In the face of angry criticism of the Guard’s conduct from outside the state, Governor Gilmer defended their actions in letters to religious leaders, but he also warned the unit’s commander to avoid excessive brutality. 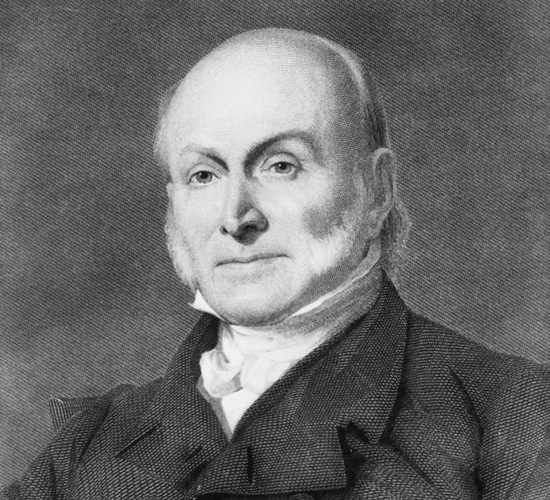 When Gilmer ran for re-election in 1831, he lost to Wilson Lumpkin by 1500 votes out of 51,000 cast, in a nasty campaign highlighted by debate over Gilmer’s “aristocratic” ways, the continuing schism in the ranks of the Crawford Party, and Gilmer’s Indian policy (e.g., his refusal to include Cherokee gold mine properties in the lottery used to dispose of the lands). In Gilmer’s second gubernatorial term (1837-1839), the deadline approached for the Cherokees to leave the state, and things got pretty tense. White Georgians were eager to see the Cherokees depart, the sooner the better, while Principal Chief John Ross was in Washington, trying to negotiate an extension of the deadline for removal with the Van Buren Administration. To Gilmer’s chagrin, Ross’s stalling tactics seemed on the verge of success. Governor Gilmer refused to countenance any further delay in executing the Treaty of New Echota (1835), stubbornly insisting the Cherokees must go, and, if the federal government would not act, he vowed that Georgia would. Of course, the Cherokees did go, on the infamous “Trail of Tears,” where thousands of them died, before Gilmer retired from office. Like Wilson Lumpkin, George R. Gilmer’s perspective on Indian removal was heavily tinged with racism. He believed that all of the “advances” made by the Cherokees were attributable to Cherokees who had “white blood”; yet, that very taint supposedly led those modernizers to oppose removal. According to both Gilmer and Lumpkin, Cherokee opponents of removal did not represent the views of “the real aborigines” (Gilmer’s phrase). In fact Gilmer believed, again like Lumpkin, that Principal Chief John Ross and his allies were only interested in money and did not care what happened to the majority of the tribe. Ironically, that dismissive view of Cherokee leaders opposed to removal could also be said to fit members of the so-called “Treaty Party” like Major Ridge, John Ridge and Elias Boudinot, who signed the Treaty of New Echota and would eventually forfeit their lives for having done so. The “Treaty Party” represented the views of only a small minority of the Cherokees, but President Jackson and leaders of the state of Georgia nevertheless regarded the treaty as valid, and it was ratified narrowly by the U.S. Senate. This blatant hypocrisy made it easier for men like Gilmer and Lumpkin to congratulate themselves on their roles in driving the Cherokees west of the Mississippi, where, they professed to believe, the “aborigines” would be “protected” from whites and allowed to preserve their tribal way of life in an edenic setting, in perpetuity. As Gilmer wrote, the time had come for whites to celebrate “the great good which has followed what was done,” and, after the “Trail of Tears,” there was no need to invite the Cherokees to the party. This entry was posted in Cherokee Indians, George R. Gilmer, Georgia History, History, Research, Southern History, Wilson Lumpkin. Bookmark the permalink. What is it with you and pseudo-founding fathers who were so antagonistic to native Americans? Love to see which senators voted for the treaty. Keep up the good work.